Tie The Yoghurt In A Muslin Cloth And Keep It In A Colander With A Bowl Underneath It. Keep It On The Kitchen Counter In A Well Aerated Place For 24 Hours. Let All The Water Drain Off. After 24 Hours, The Thick Yoghurt Remaining Is The Labneh. Spread This Mix Evenly On Each Cookie. 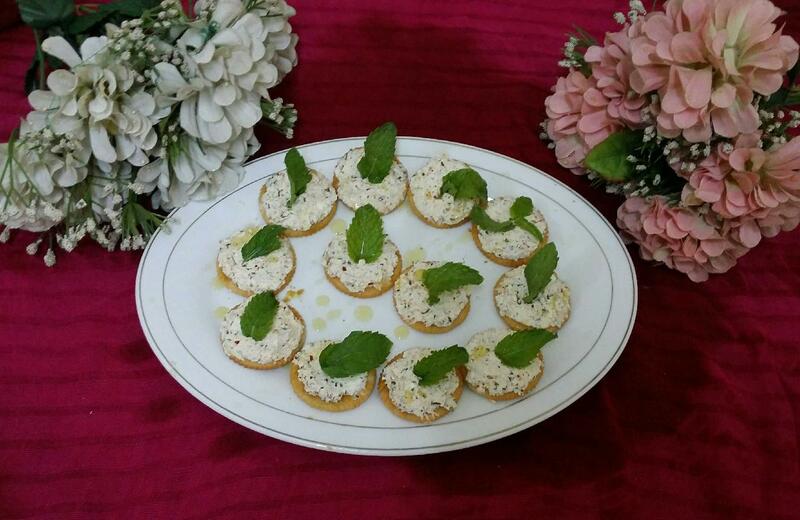 Serve These Little Tangy Herbed Labneh Canapes As An Appetizer Or A Starter. This Can Be A Great Snack Idea Too. All rights Reserved UNIBIC Foods India Pvt. Ltd.